Legendary comic's veteran Neal Adams takes the helm of one of the most intriguing DC characters, Boston Brand, A.K.A. 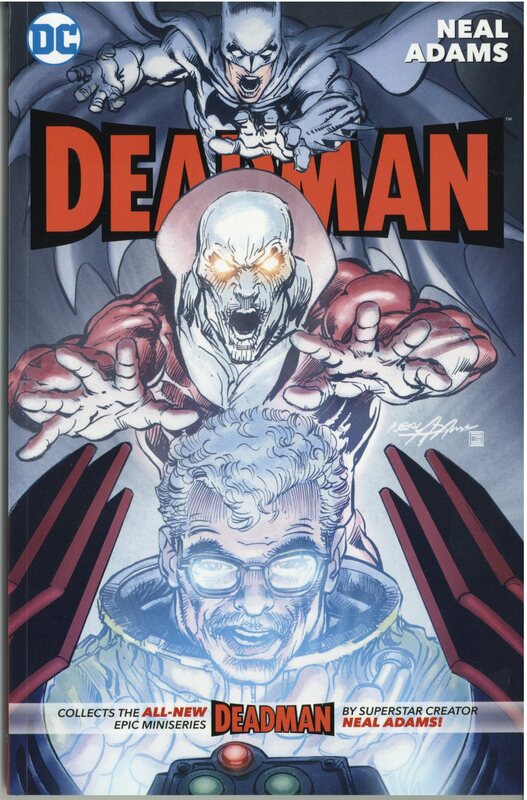 Deadman and The Dark Knight is back to help him try to solve the case of his muder once and for all! When we last left Deadman, the true story had barely begun! Deadman's death was unsolved, and his fate was intertwined with that of his parents and siblings. Even the Dark Night Detective couldn't solve the mysteries of Boston Brand's fantastic secrets! Now, Batman is back, confronting Deadman about who was really behind his death. Was Boston Brand's assassination a test for the League of Assassins? Why does Batman think Ra's al Ghul was involved? And why does Deadman need the help of Zatanna, Phantom Stranger, Dr. Fate and the Spectre to defend Nanda Parbat?